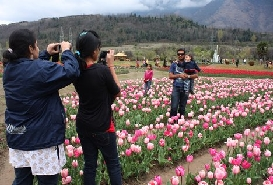 Srinagar city in Kashmir valley is world -renowned for its amazing Gardens and lakes. History narrates that the Kashmir valley had always been the favorite among past rulers. 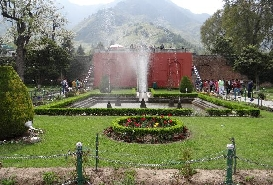 This gave way to the formation of Mughal gardens in Srinagar, which the state feels proud of till date. 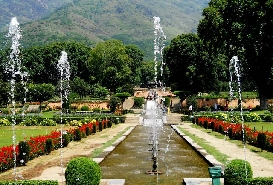 The beautiful Gardens of Srinagar have picturesque hill slides, flowering shrubs and trees and enchanting water bodies. Despite witnessing centuries of change, the gardens still manage to lure tourists from all over the world. 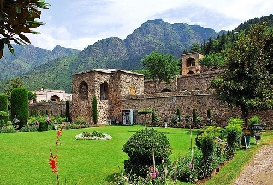 Many gardens are the creations of the great Mughals, while some were built by the modern day authorities. 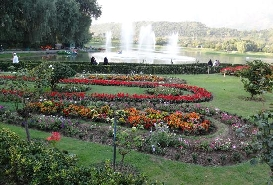 Truly captivating and delightful, the renowned gardens in this part of India boast of exquisitely carved lawns, huge spectrum of colorful flowers and stepped terraces. 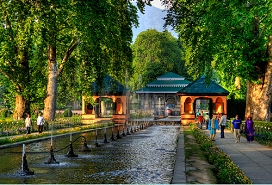 The prominent gardens that one must visit in a Srinagar trip include Shalimar Bagh, Nishat Bagh, Tulip Garden, Chasma Sahi Garden, Pari Mahal, and Nehru Garden etc.